The Charlie Liponis Scholarship was established by Northeast Technical Institute in 2010 to commemorate the life and contributions that Charlie Liponis made to education during his five decades of helping students achieve their goals through career education. 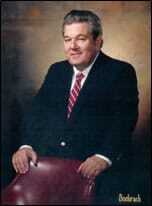 The late Charles ‘Charlie’ Liponis was an entrepreneurial businessman who had a passion for education. In 1961 he left his job at IBM and founded the Andover Institute of Business, originally on Main Street, Andover, MA. The institute grew to 11 schools, including campuses in Boston, Brockton, Springfield, Lynn, Hartford, Nashua, Worcester and Portland, Maine. The schools taught students business skills from key-punching to stenography; and Charlie was a pioneer in computing, offering the very first course in computer training in the mid sixties. He successfully took the company public on the NASDAQ exchange in 1970. Charlie spent his life raising his family and working to improve the lives of tens of thousands of individuals through quality career training. It is with his spirit in mind that this scholarship was created in hopes that countless more can benefit from furthering their education and finding a better quality of life. Scholarships are awarded* to deserving Maine residents who demonstrate the desire to excel in the field of HVAC/R, Medical or IT. Scholarship funds will be granted to recipients on the basis of recognition and financial need. Winners of the scholarship will be contacted no later than one week after submission. If funding from other sources covers full tuition cost, the scholarship will not be applied. Funding from grants and other outside sources is applied to student account first. Scholarship can be applied to tuition charges only. *Scholarships only awarded prior to enrollment and cannot be applied to student account retroactively. Some restrictions apply. Contact us for additional information.